I don’t know about you, but if I am only cooking a half or a quartered ham, I really don’t want to have to heat that big ol’ oven to make it. So when I figured out how to make our holiday ham in my air fryer, I was a happy girl. 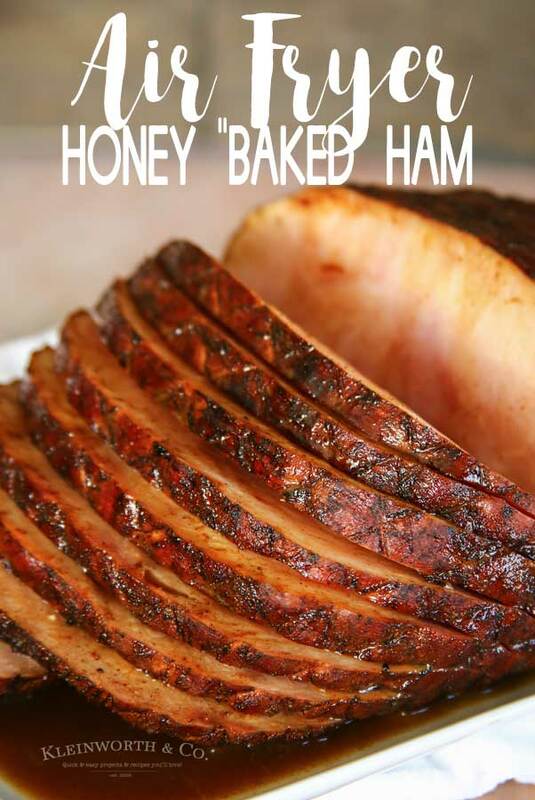 Check out this Air Fryer Honey Baked Ham that is so easy & delicious. 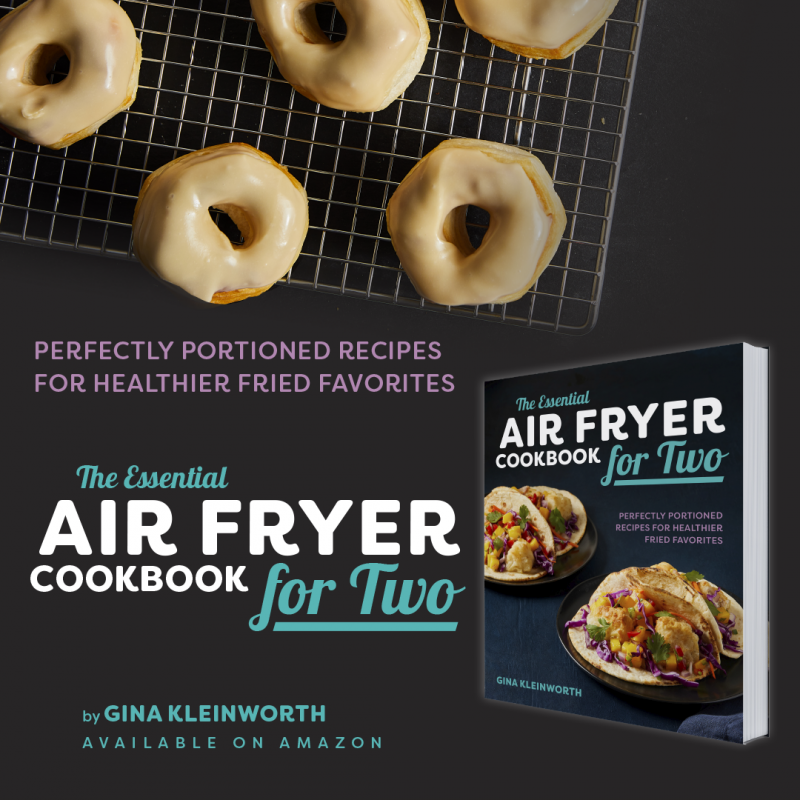 I never really thought about using the air fryer for things like this. I figured it would be for our game day snacks. But honestly, I can make just about anything in there & it is so easy & convenient. As I mentioned before, this is a great recipe when making a smaller ham. Obviously you aren’t going to fit a giant ham in your air fryer. But if you are like us & you only have a handful of people for your meal, or maybe you are empty nesters, newlyweds or single – so you are only cooking smaller portions- this recipe is for you. Do I really need the foil? Yes, this would be an awfully big mess to clean later on if you skip the foil. When you cook the ham, all of the ingredients you spread on the ham before cooking will melt. The foil keeps all that liquid contained & lets the ham cook in it. That is what makes it so delicious. 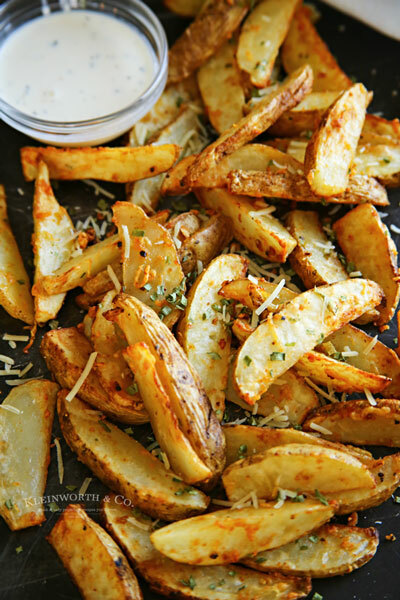 What air fryer do you use? We actually have 2 air fryers. I have a smaller one from Phillips that we started with. But the more I used the air fryer I realized I really wanted a digital screen. It wasn’t any more expensive, in fact- our XL air fryer from GoWISE was less expensive than the Phillips and I love its ease & extra funtions. Plus it comes with a lot of the extra accessories I like to use when cooking with my fryer. 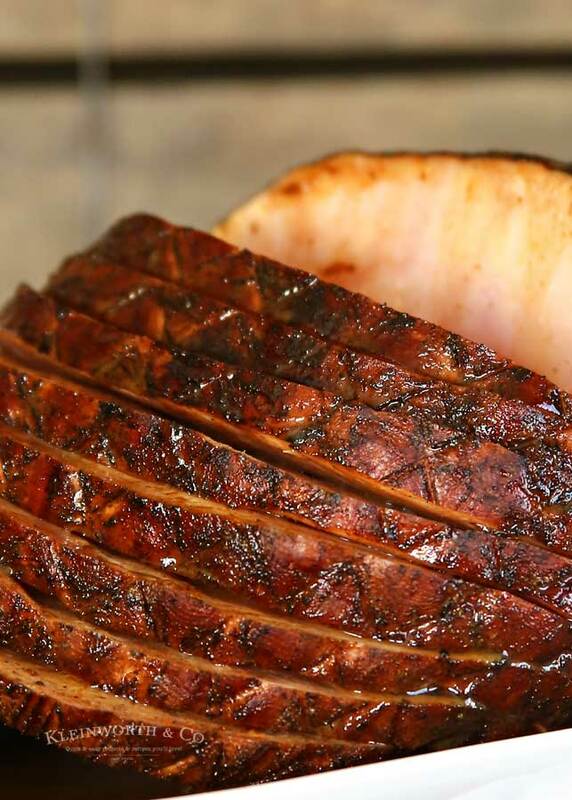 HOW DO YOU MAKE Air Fryer Honey Baked Ham? Combine brown sugar, dijon mustard, cider vinegar, honey, cinnamon, nutmeg, paprika, cayenne & salt in a small bowl. Whisk to combine & set aside. Place ham on a large piece of foil. Drizzle about 1/4 of the glaze over the ham. Close the foil around the ham to completely cover. Place the ham in the air fryer basket. Set the temperature to 320 degrees. Remove the air fryer basket & carefully open just the top of the foil around the ham. Brush the ham with more glaze, recover & cook another 5 minutes. Repeat the last step another 3-4 times (with a total cooking time of 15-20 minutes after the initial 15 minutes in step 7). 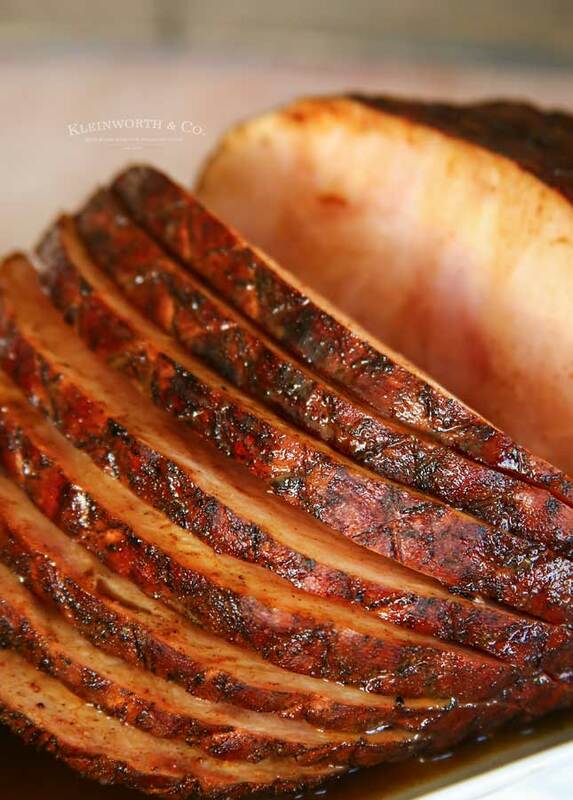 Take care to not dry out the ham – making sure to recover each time you cook. 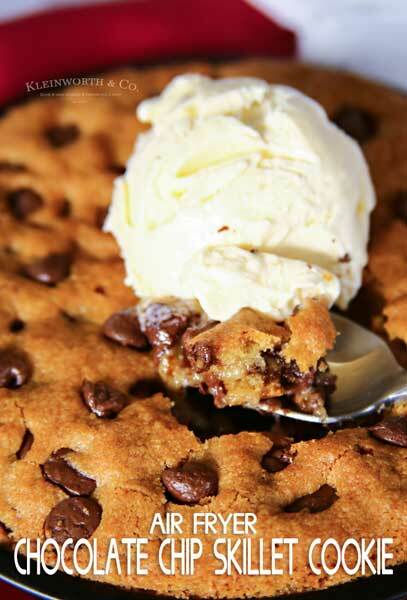 Remove & allow to rest 5 minutes before serving. 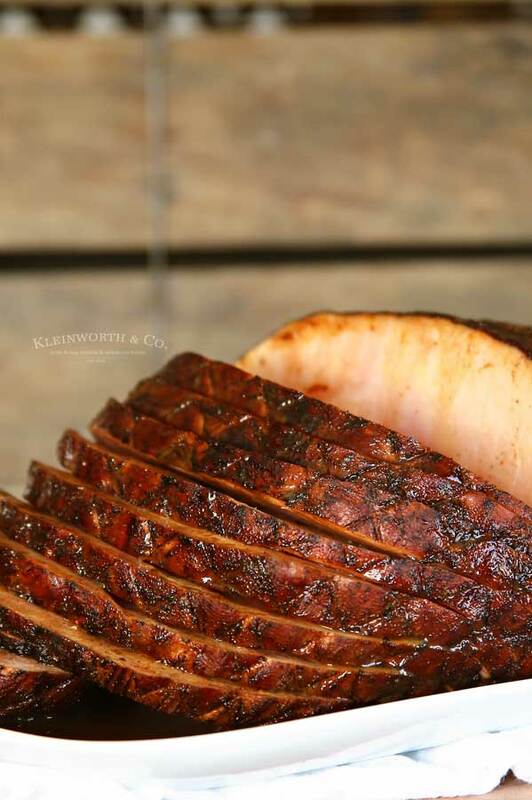 This ham is not only delicious but great when you don’t want to use your oven! 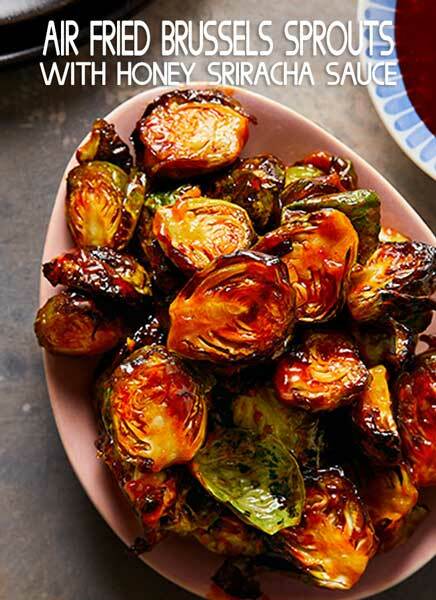 If you love this recipe – you can find 100+ MORE like it in my new cookbook. 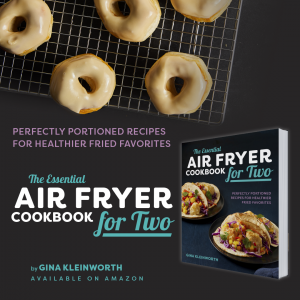 The Essential Air Fryer Cookbook for Two also makes everything fast and easy. Most recipes take 30 minutes or less and they’re designed with simple prep and minimal clean-up in mind. Nutritional information, serving size descriptions and recipes for vegetarians, vegans and the gluten-free are also included. There’s so much to savor. 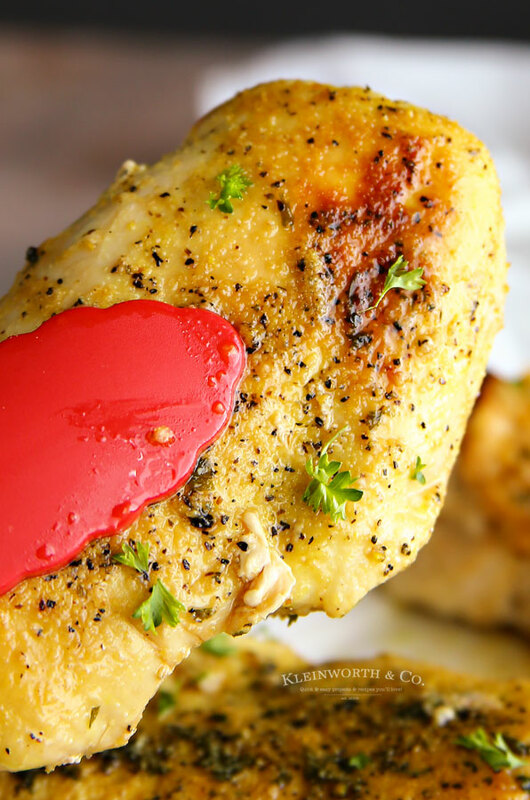 Looking for more air fryer recipes? Did you know you can make a delicious holiday ham without ever turning on the oven? 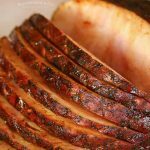 Check out this Air Fryer Honey Baked Ham that is simple & oh so tasty!